German Americans (German: Deutschamerikaner) are citizens of the United States who were either born in Germany or are of German ancestry. They comprise about 50 million people, making them the largest ancestry group ahead of Irish Americans, African Americans and English Americans. They comprise about 1/3 of the German diaspora all over the world. None of the German states had New World colonies. Not until the 1670s did the first significant groups of German immigrants arrive in the British colonies, settling primarily in New York and Pennsylvania. Immigration continued in very large numbers during the 19th century, with some eight million arrivals from Germany. They were pulled by the attractions of land and religious freedom, and pushed out of Europe by shortages of land and religious or political oppression. Many arrived seeking religious or political freedom, others for economic opportunities greater than those in Europe, and others simply for the chance to start fresh in the New World. The arrivals before 1850 were mostly farmers who sought out the most productive land, where their intensive farming techniques would pay off. After 1840, many came to cities, where "Germania"—German-speaking districts—soon emerged. German Americans established the first kindergartens in the United States, introduced the Christmas tree tradition, and originated popular American foods such as hot dogs and hamburgers. German American celebrations are held throughout the country, one of the most well-known being the German-American Steuben Parade in New York City, held every third Saturday in September. There are also major annual events in Chicago, Cincinnati, Milwaukee, Pittsburgh, St. Louis and other cities. Like many other immigrants that came to the United States, an overwhelming number of people of German or partial German descent have essentially become Americanized. In 1709, Protestant Germans from the Pfalz or Palatine region of Germany escaped conditions of hardship, traveling first to Rotterdam and then to London. Anne, Queen of Great Britain, helped them get to her colonies in America. The trip was long and difficult to survive because of the poor quality of food and water aboard ships and the infectious disease typhus. Many immigrants, particularly children, died before reaching America in June 1710. John Law organized the first colonization of Louisiana with German immigrants. Of the over 5,000 Germans initially immigrating primarily from the Alsace Region as few as 500 made up the first wave of immigrants to leave France in route to the Americas. Less than 150 of those first indentured German farmers made it to Louisiana and settled along what became known as the German Coast. With tenacity, determination and the leadership of D'arensburg these Germans felled trees, cleared land, and cultivated the soil with simple hand tools as draft animals were not available. The German coast settlers supplied the budding City of New Orleans with Corn, Rice, eggs and meat for many years following. In North Carolina, German Moravians living around Bethlehem, Pennsylvania purchased nearly 100,000 acres (400 km2) from Lord Granville (one of the British Lords Proprietor) in the Piedmont of North Carolina in 1753. They established German settlements on that tract, especially in the area around what is now Winston-Salem. They also founded the transitional settlement of Bethabara, North Carolina, translated as House of Passage, the first planned Moravian community in North Carolina, in 1759. Soon after, the German Moravians founded the town of Salem in 1766 (now a historical section in the center of Winston-Salem) and Salem College (an early female college) in 1772. 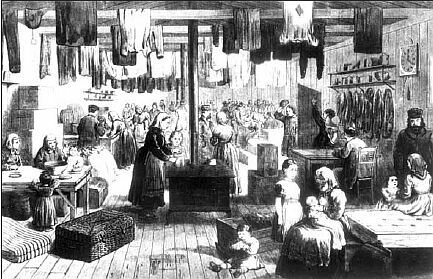 The tide of German immigration to Pennsylvania swelled between 1725 and 1775, with immigrants arriving as redemptioners or indentured servants. By 1775, Germans constituted about one-third of the population of the state. German farmers were renowned for their highly productive animal husbandry and agricultural practices. Politically, they were generally inactive until 1740, when they joined a Quaker-led coalition that took control of the legislature, which later supported the American Revolution. Despite this, many of the German settlers were loyalists during the Revolution, possibly because they feared their royal land grants would be taken away by a new republican government, or because of loyalty to a British German monarchy who had provided the opportunity to live in a liberal society. The Germans, comprising Lutherans, Reformed, Mennonites, Amish, and other sects, developed a rich religious life with a strong musical culture. Collectively, they came to be known as the Pennsylvania Dutch (from Deutsch). Etymologically, the word Dutch originates from the Old High German word "diutisc" (from "diot" "people"), referring to the Germanic "language of the people" as opposed to Latin, the language of the learned (see also theodiscus). Only later did the word come to refer to the people who spoke the language. Other Germanic language variants for "deutsch/deitsch/dutch" are: Dutch "Duits", Yiddish "daytsh", Danish "tysk", Norwegian "tysk", and Swedish "tyska". ). There were few German Catholics in Pennsylvania before the 1810s. The largest flow of German immigration to America occurred between 1820 and World War I, during which time nearly six million Germans immigrated to the United States. From 1840 to 1880, they were the largest group of immigrants. Following the Revolutions of 1848 in the German states, a wave of political refugees fled to America, who became known as Forty-Eighters. They included professionals, journalists, and politicians. Prominent Forty-Eighters included Carl Schurz and Henry Villard. The cities of Milwaukee, Cincinnati, St. Louis, Chicago, New York, and Baltimore were favored destinations of German immigrants. Also, the Northern Kentucky area was a favored destination. By 1900, the populations of the cities of Cleveland, Milwaukee, Hoboken, and Cincinnati were all more than 40% German American. Dubuque and Davenport, Iowa had even larger proportions, as did Omaha, Nebraska, where the proportion of German Americans was 57% in 1910. In many other Northern cities, such as Fort Wayne, Indiana, German Americans were at least 30% of the population. Many concentrations acquired distinctive names suggesting their heritage, such as the "Over-the-Rhine" district in Cincinnati and "German Village" in Columbus, Ohio. Texas attracted many Germans who entered through Galveston and Indianola, both those who came to farm, and later immigrants who more rapidly took industrial jobs in cities such as Houston. As in Milwaukee, Germans in Houston built the brewing industry. By the 1920s, the first generation of college-educated German Americans were moving into the chemical and oil industries. The Germans who settled Texas were diverse in many ways. They included peasant farmers and intellectuals; Protestants, Catholics, Jews, and atheists; Prussians, Saxons, and Hessians; abolitionists and slave owners; farmers and townsfolk; frugal, honest folk and ax murderers. They differed in dialect, customs, and physical features. A majority had been farmers in Germany, and most arrived seeking economic opportunities. A few dissident intellectuals fleeing the 1848 revolutions sought political freedom, but few, save perhaps the Wends, went for religious freedom. The German settlements in Texas reflected their diversity. Even in the confined area of the Hill Country, each valley offered a different kind of German. The Llano valley had stern, teetotaling German Methodists, who renounced dancing and fraternal organizations; the Pedernales valley had fun-loving, hardworking Lutherans and Catholics who enjoyed drinking and dancing; and the Guadalupe valley had freethinking Germans descended from intellectual political refugees. The scattered German ethnic islands were also diverse. These small enclaves included Lindsay in Cooke County, largely Westphalian Catholic; Waka in Ochiltree County, Midwestern Mennonite; Hurnville in Clay County, Russian German Baptist; and Lockett in Wilbarger County, Wendish Lutheran. Many Germans in late 19th century America were anarchists or other types of socialists. Six of the eight defendants in the Haymarket Affair were German, and Germans played a significant role in the early American labor movement. Relatively few German Americans held office, but the men voted once they became citizens. In general, the Protestants and Jews leaned toward the Republican party and the Catholics were strongly Democratic. When prohibition was on the ballot, the Germans voted solidly against it. They strongly distrusted moralistic crusaders, whom they called "Puritans", including the temperance reformers and many Populists. The German community strongly opposed Free Silver, and voted heavily against crusader William Jennings Bryan in 1896. In 1900, however, many German Democrats returned to their party and voted for Bryan, perhaps because of President William McKinley's foreign policy. World War I war propaganda bond posters depicted caricatures of Germans. The Justice Department attempted to prepare a list of all German aliens, counting approximately 480,000 of them, more than 4,000 of whom were imprisoned in 1917-18. The allegations included spying for Germany, or endorsing the German war effort. Thousands were forced to buy war bonds to show their loyalty. The Red Cross barred individuals with German last names from joining in fear of sabotage. One person was killed by a mob; in Collinsville, Illinois, German-born Robert Prager was dragged from jail as a suspected spy and lynched. A Minnesota minister was tarred and feathered when he was overheard praying in German with a dying woman. In Chicago, Frederick Stock temporarily stepped down as conductor of the Chicago Symphony Orchestra until he finalized his naturalization papers. Orchestras replaced music by German composer Wagner with French composer Berlioz. In Cincinnati, the public library was asked to withdraw all German books from its shelves. German-named streets were renamed. The town, Berlin, Michigan, was changed to Marne, Michigan (honoring those who fought in the Battle of Marne). In Iowa, in the 1918 Babel Proclamation, the governor prohibited all foreign languages in schools and public places. Nebraska banned instruction in any language except English, but the U.S. Supreme Court ruled the ban illegal in 1923 (Meyer v. Nebraska). The response of German Americans to these tactics was often to "Americanize" names (e.g. Schmidt to Smith, Müller to Miller) and limit the use of the German language in public places, especially churches. Between 1931 and 1940, 114,000 Germans moved to the United States, many of whom—including Nobel prize winner Albert Einstein—were Jewish Germans or anti-Nazis fleeing government oppression. About 25,000 people became paying members of the pro-Nazi German American Bund during the years before the war. German aliens were the subject of suspicion and discrimination during the war, although prejudice and sheer numbers meant they suffered as a group generally less than Japanese Americans. The Alien Registration Act of 1940 required 300,000 German-born resident aliens who had German citizenship to register with the Federal government and restricted their travel and property ownership rights. Under the still active Alien Enemy Act of 1798, the United States government interned nearly 11,000 German citizens between 1940 and 1948. Civil rights violations occurred. An unknown number of "voluntary internees" joined their spouses and parents in the camps and were not permitted to leave. President Franklin D. Roosevelt sought out Americans of German ancestry for top war jobs, including General Dwight D. Eisenhower, Admiral Chester W. Nimitz, and USAAF General Carl Andrew Spaatz. He appointed Republican Wendell Willkie as a personal representative. German Americans who had fluent German language skills were an important asset to wartime intelligence, and they served as translators and as spies for the United States. The war evoked strong pro-American patriotic sentiments among German Americans, few of whom by then had contacts with distant relatives in the old country. California, Texas (see German Texan) and Pennsylvania have the largest numbers of German origin, although upper Midwestern states, including Ohio, Iowa, Minnesota, Wisconsin, Nebraska, and the Dakotas, have the highest proportion of German Americans at over one-third. Of the four major US regions, German was the most-reported ancestry in the Midwest, second in the West, and third in both the Northeast and the South. German was the top reported ancestry in 23 states, and it was one of the top five reported ancestries in every state except Maine and Rhode Island. 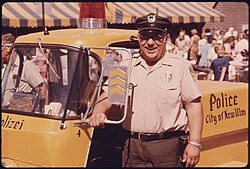 Today, most German Americans have assimilated to the point that they no longer have readily identifiable ethnic communities, though there are still many metropolitan areas where German is the most reported ethnicity, such as Cincinnati, Northern Kentucky, Cleveland, Columbus, Indianapolis, Milwaukee, Minneapolis – Saint Paul, Pittsburgh, and St. Louis. Beginning in 1741, the German-speaking Moravian Church Settlements of Bethlehem, Nazareth and Lititz, Pennsylvania, and Wachovia in North Carolina had highly developed musical cultures. Choral music, Brass and String Music and Congregational singing were highly cultivated. The Moravian Church produced many composers and musicians. Haydn's Creation had its American debut in Bethlehem in the early 19th century. The Imperial government in Berlin promoted German culture in the U.S., especially music. During the late 19th and early 20th centuries, the preponderance of German music on American symphony stages went hand in hand with the Kaiser's agenda for Germany's global expansion. After Germany's unification in 1871, German cultural diplomacy aimed increasingly to convince Anglo-American elites of the superiority of German culture to win political allies in the United States. A steady influx of German-born conductors, including Arthur Nikisch and Karl Muck, spurred the reception of German music in the United States, while German musicians seized on Victorian Americans' growing concern with 'emotion'. The performance of pieces such as Beethoven's Ninth Symphony established German serious music as the superior language of feeling, filling audiences with awe for the superiority not just of German art, but also of Germany in general - precisely the respect for German greatness and emotionalism that William II wanted to convey. By the 1890s, Turners numbered nearly 65,000. At the turn of the 20th to 21st century, however, with the ethnic identity of European Americans in flux and Americanization a key element of immigrant life, there were few Turner groups, athletic events were limited, and non-Germans were members. A survey of surviving groups and members reflects these radical changes in the role of Turner societies and their marginalization in 21st-century American society, as younger German Americans tended not to belong, even in strongholds of German heritage in the Midwest. Before 1800, communities of Amish, Mennonites, Moravians and Hutterites had formed and are still in existence today. Some still speak dialects of German, including Pennsylvania German, informally known as Pennsylvania Dutch. The Amish, who were originally from southern Germany and Switzerland, arrived in Pennsylvania during the early 18th century. Amish immigration to the United States reached its peak between the years 1727 and 1770. Religious freedom was perhaps the most pressing cause for Amish immigration to Pennsylvania, which became known as a haven for persecuted religious groups. Some 19th-century immigrants, especially the "Forty-Eighters", were secular, rejecting formal religion. About 250,000 German Jews had arrived by the 1870s, and they sponsored reform synagogues in many small cities across the country. About 2.0 million Eastern European Jews arrived from the 1880s to 1924, bringing more traditional religious practices. About 1.5 million Americans speak German at home, according to the 2000 census. From 1860-1917, German was widely spoken in German neighborhoods; see German in the United States. 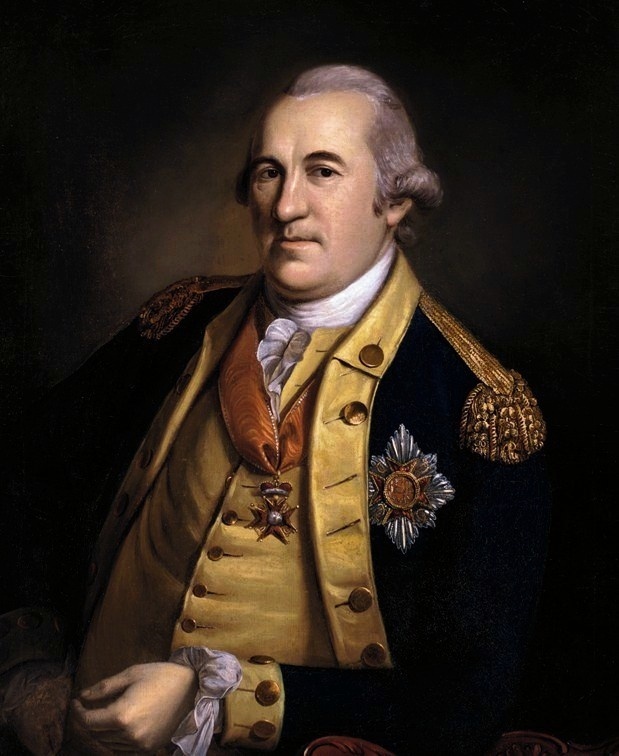 There is a false myth, called the Muhlenberg legend, that German was almost the official language of the U.S. There was never any such proposal. The U.S. has no official language, but use of German was strongly discouraged during World War I and fell out of daily use in many places. "Assimilation" in this context means the steady loss of distinctive characteristics (especially language), as the Germans melted into a common American nationality. By 1910 German Americans had created their own distinctive, vibrant, prosperous German-language communities, called "Germania". According to historian Walter Kamphoefner, a "number of big cities introduced German into their public school programs". Indianapolis, Cincinnati, Cleveland and other cities "had what we now call two-way immersion programs: school taught half in German, half in English". This was a tradition which continued "all the way down to World War I." According to Kamphoefner, German "was in a similar position as the Spanish language is in the 20th and 21st century"; it "was by far the most widespread foreign language, and whoever was the largest group was at a definite advantage in getting its language into the public sphere." Kamphoefner has come across evidence that as late as 1917, a German version of the "The Star-Spangled Banner" was still being sung in public schools in Indianapolis. The transition to the English language was abrupt, forced by World War One. After 1917 the German language was seldom heard in public; most newspapers and magazines closed; churches and parochial schools switched to English. Film critic Roger Ebert has written how "I could hear the pain in my German-American father's voice as he recalled being yanked out of Lutheran school during World War I and forbidden by his immigrant parents ever to speak German again". Youth increasingly attended high schools, where they mingled, in English, and dated (and later married) people of other ethnicities. The Catholic high schools were deliberately structured to commingle ethnic groups so as to promote intermarriage. German-speaking taverns, beer gardens and saloons were all shut down by prohibition; those that reopened in 1933 spoke English. By the 1940s Germania had largely vanished outside remote areas and the Germans were thoroughly assimilated. Historians have tried to explain what became of the German Americans and their descendents. Kazal (2004) looks at Germans in Philadelphia, focusing on four ethnic subcultures: middle-class Vereinsdeutsche, working-class socialists, Lutherans, and Catholics. Each group followed a somewhat distinctive path toward assimilation. Lutherans, and the better situated Vereinsdeutsche with whom they often overlapped, after World War I abandoned the last major German characteristics and redefined themselves as old stock or as "Nordic" Americans, stressing their colonial roots in Pennsylvania and distancing themselves from more recent immigrants. On the other hand, working-class and Catholic Germans, groups that heavily overlapped, lived and worked with Irish and other European ethnics; they also gave up German characteristics but came to identify themselves as white ethnics, distancing themselves above all from African American recent arrivals in nearby neighborhoods. Well before World War I, women in particular were becoming more and more involved in a mass consumer culture that lured them out of their German-language neighborhood shops and into English language downtown department stores. The 1920s and 1930s brought English language popular culture via movies and radio that drowned out the few surviving German language venues. Despite this assimilation, it is worth noting that a distinct German American ethnicity survived well into the mid-20th century in some places. Writing about the town of Hustisford, Wisconsin, Jennifer Ludden discusses Mel Grulke, who was born in 1941, with German his first language at home; "Grulke's great-grandparents immigrated to the U.S. in the late 1880s, yet three generations later, his farmer parents still spoke German at home, attended German language church services and chatted in German with shopkeepers when they brought their farm eggs into town to sell". Bethany Lutheran Church in Hustisford offered German-language services into the 1970s. Homer Rudolf, a man from North Dakota of German Russian descent, stated in 2004 that his maternal grandmother, who died in 1980 at the age of 90, "did not learn English". As recently as 1990, one quarter of North Dakota's households included a German speaker. German-American celebrations, such as Oktoberfest, German-American Day and Von Steuben Day are held regularly throughout the country. One of the largest is the German-American Steuben Parade in New York City, held every third Saturday in September. There are also major annual events in Chicago's Lincoln Square neighborhood, a traditional a center of the city's German population, in Cincinnati, where its annual Octoberfest Zinzinnati is the largest Oktoberfest outside of Germany and in Milwaukee, which celebrates its German heritage with an annual German Fest. Many of the immigrants from Germany and other German-speaking countries came to Pennsylvania to what was then "Allegheny City" (now part of the North Side of the City of Pittsburgh). So many German speakers arrived, the area became known as "Deutschtown" and has been revived as such. Within Deutschtown and since 1854, The Teutonia Männerchor has been promoting and furthering German cultural traditions. German Americans have been influential in almost every field in American society, including science, architecture, industry, sports, entertainment, theology, government, and the military. German American generals Baron von Steuben, George Armstrong Custer, John Pershing, Dwight D. Eisenhower, Chester W. Nimitz, Carl Andrew Spaatz and Norman Schwarzkopf commanded the United States Army in the American Revolutionary War, American Civil War, Indian Wars, World War I, World War II, and the Persian Gulf War, respectively. 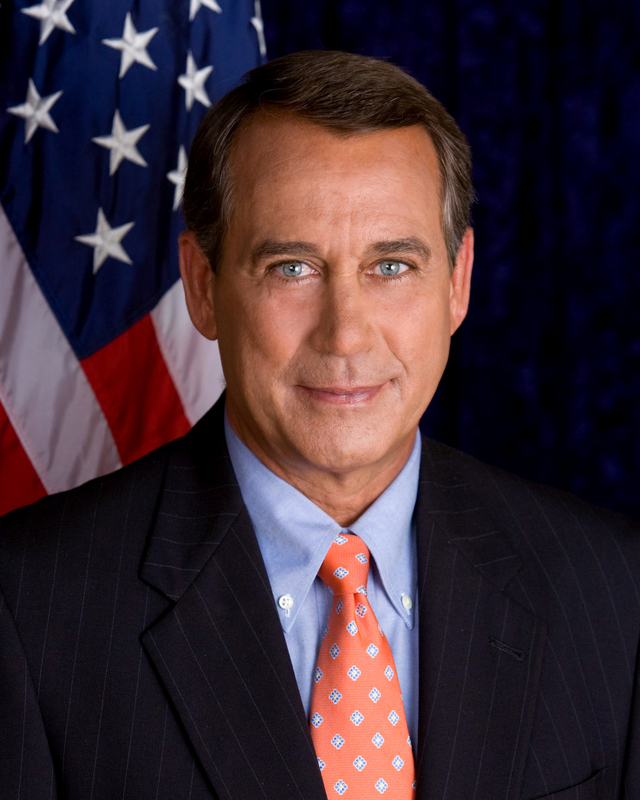 German Americans were famous American politicians, including Carl Schurz, Friedrich Hecker, Frederick Muhlenberg, Henry Morgenthau, Sr., Henry Morgenthau, Jr., Dwight D. Eisenhower, Herbert Hoover, Henry Kissinger and John Boehner. Many German Americans have played a prominent role in industry and business, including John D. Rockefeller (Standard Oil), William Boeing (The Boeing Company), Walter Chrysler (Chrysler Corporation), Frederick and August Duesenberg (Duesenberg automobile Corporation), Studebaker brothers (Studebaker automobile Corporation), George Westinghouse (Westinghouse Electric Corporation), Levi Strauss (Levi Strauss & Co.), Charles Guth (PepsiCo Inc.), James L. Kraft (Kraft Foods Inc.), Henry E. Steinway (Steinway & Sons), Charles Pfizer (Pfizer, Inc.), Donald Trump (The Trump Organization), John Jacob Astor (Waldorf Astoria Hotels and Resorts), Conrad Hilton (Hilton Hotels & Resorts), Guggenheim family (Solomon R. Guggenheim Foundation), (Guggenheim Partners), Marcus Goldman (The Goldman Sachs Group, Inc.), Samuel Sachs (The Goldman Sachs Group, Inc.), Lehman Brothers (Lehman Brothers Holdings Inc.), Carl Laemmle (Universal Studios), Marcus Loew (Metro-Goldwyn-Mayer Studios Inc.), Harry Cohn (Columbia Pictures Industries, Inc.), Herman Hollerith (International Business Machines Corporation (IBM)), Steve Jobs (Apple Inc.), Eric Schmidt (Google Inc.), Peter Thiel (PayPal Inc.), Adolph Simon Ochs and Arthur Ochs Sulzberger (The New York Times), Charles Bergstresser (The Wall Street Journal), Al Neuharth (USA Today), Eugene Meyer (The Washington Post) etc. German Americans have also dominated beer brewing for much of American history, beginning with breweries founded in the 19th century by German immigrants August Schell (August Schell Brewing Company), Eberhard Anheuser (Anheuser-Busch InBev), Adolphus Busch (Anheuser-Busch InBev), Adolph Coors (Molson Coors Brewing Company), Frederick Miller (Miller Brewing Company), Frederick Pabst (Pabst Brewing Company), Bernhard Stroh (Stroh Brewery Company) and Joseph Schlitz (Joseph Schlitz Brewing Company). Some, such as Brooklyn Bridge engineer John A. Roebling and architects Walter Gropius and Ludwig Mies van der Rohe, left behind visible landmarks. Others, including Albert Einstein, J. Robert Oppenheimer, Wernher von Braun, John Peter Zenger, John Steinbeck, Kurt Vonnegut, Joseph Weizenbaum set intellectual landmarks, Neil Armstrong was the first human to land on the moon. Still others, such as George Eyser, Babe Ruth, Lou Gehrig, Jack Nicklaus, Doris Day, Marlene Dietrich, Johnny Weissmuller, Ernst Lubitsch, Walter Damrosch, John Denver, John Kay, Meryl Streep, Sandra Bullock, David Hasselhoff, Leonardo DiCaprio, Steven Spielberg became prominent athletes, actors, film directors or artists. There have been two presidents whose fathers were of German descent: Dwight Eisenhower (original family name Eisenhauer and maternal side is also German/Swiss) and Herbert Hoover (original family name Huber). Presidents with maternal German ancestry include George Washington, Richard Milhous Nixon (Nixon's maternal ancestors were Germans who anglicized Melhausen to Milhous). and Barack Obama, whose mother's family comes from the South German village of Besigheim. ^ "Ancestry of the people of the United States - Wikipedia, the free encyclopedia". En.wikipedia.org. http://en.wikipedia.org/wiki/Maps_of_American_ancestries. Retrieved 2012-11-11. ^ "Ancestry of the Population by State: 1980 - Table 3" (PDF). http://www.census.gov/population/www/censusdata/files/pc80-s1-10/tab03.pdf. Retrieved 2012-11-11. ^ Germans and foreigners with an immigrant background. 156 is the estimate which counts all people claiming ethnic German ancestry in the U.S., Brazil, Argentina, and elsewhere. ^ "Ethnic Groups of Europe: An Encyclopedia" by Jeffrey Cole (2011), page 171. ^ "Report on German population". Histclo.com. 4 February 2010. http://histclo.com/country/ger/reg/pop/gr-pop.html. Retrieved 2013-01-07. ^ Robert C. Nesbit (2004). Wisconsin: A History. Univ of Wisconsin Press. pp. 155–57. http://books.google.com/books?id=yVCoRShIIKMC&pg=PA155. ^ Hostetler, John A. (1993), Amish Society, The Johns Hopkins University Press, Baltimore, p. 241. ^ De Grauwe, Luc, "Emerging mother-tongues awareness in Dutch and German". In Linn & McLelland (eds). Standardization: Studies from the Germanic Languages. p.101, 104, passim. ^ retrieved November 3, 2011 citing to Paul, Hermann. 1960. Deutsches Wörterbuch (siebente Auflage): "Deutsch"
^ C. B. Schmidt, "Reminiscences of Foreign Immigration Work for Kansas," Kansas Historical Collections, 1905–1906 9 (1906): 485–97; J. Neale Carman, ed. and trans., "German Settlements Along the Atchison, Topeka and Santa Fe Railway," Kansas Historical Quarterly 28 (Autumn 1962): 310–16; cited in Turk, "Germans in Kansas," (2005) p 57. ^ Goyens, Tom. "Beer and Revolution: Some Aspects of German Anarchist Culture in New York, 1880–1900". Social Anarchism journal. http://theanarchistlibrary.org/library/tom-goyens-beer-and-revolution-some-aspects-of-german-anarchist-culture-in-new-york-1880-1900. Retrieved 8 July 2012. ^ "Rank of States for Selected Ancestry Groups with 100,00 or more persons: 1980". United States Census Bureau. http://www.census.gov/population/www/censusdata/files/pc80-s1-10/tab04.pdf. Retrieved 30 November 2012. ^ "1990 Census of Population Detailed Ancestry Groups for States". United States Census Bureau. 18 September 1992. http://www.census.gov/prod/cen1990/cp-s/cp-s-1-2.pdf. Retrieved 30 November 2012. ^ "Total ancestry categories tallied for people with one or more ancestry categories reported 2010 American Community Survey 1-Year Estimates". United States Census Bureau. http://factfinder2.census.gov/faces/tableservices/jsf/pages/productview.xhtml?pid=ACS_10_1YR_B04003&prodType=table. Retrieved 30 November 2012. ^ "Top 101 cities with the most residents born in Germany (population 500+)". city-data.com. Advameg, Inc.. 2012 [last update]. http://www.city-data.com/top2/h49.html. Retrieved May 11, 2012. ^ "Detailed Language Spoken at Home and Ability to Speak English for Persons 5 Years and Over --50 Languages with Greatest Number of Speakers: United States 1990". United States Census Bureau. 1990. http://www.census.gov/hhes/socdemo/language/data/census/table5.txt. Retrieved July 22, 2012. ^ a b c d e f g Ludden, Jennifer. . National Public Radio. April 1, 2009. Accessed December 23, 2012. ^ Ebert, Roger. . Chicago Sun-Times. April 12, 2002. Accessed December 23, 2012. ^ "Germans from Russia Heritage Collection". Library.ndsu.edu. September 18, 2004. http://library.ndsu.edu/grhc/history_culture/oral/samples/homer_rudolf.html. Retrieved April 18, 2013. ^ Brooke, James. . The New York Times. March 2, 1996. Accessed December 23, 2012. ^ "The Teutonia Männerchor German Food Cuisine - Pittsburgh, PA"
^ "'About the Teutonia Männerchor' -- THE EARLY 1800s – Around the early and the mid-1800s and through the end of the 20th century, there was a mass immigration from all across Europe to the United States. Many of the immigrants from Germany and other German-speaking countries came to Pennsylvania to what was then "Allegheny City" (now the Northside – just across the river from the City of Pittsburgh. So many German speakers arrived, the area became known as "Deutschtown"." ^ "In 1890, the population of Allegheny City was 105,287, of whom 30,216 were foreign born, and 12,022 were born in Germany. Deutschtown, also called Dutchtown, was the eastern expansion of the vital hub of Allegheny City (annexed by Pittsburgh in 1907), where the German-speaking peoples settled early in the 19th century." ^ "The Teutonia Männerchor is a private membership club with the purpose of furthering choral singing, German cultural traditions and good fellowship." ^ "MÄNNERCHOR, DAMENCHOR, GEMISCHTER CHOR, ALPEN SCHUHPLATTLER UND TRACHTENVEREIN, PITTSBURGH DISTRICT KINDERCHOR, SCHÜTZENKAMERADEN, TEUTONIA HAUSKAPELLE, LUSTIGEN MUSIKANTEN, and 66 CARD LEAGUE"
^ Alexander Emmerich: Die Geschichte der Deutschen in Amerika. Von 1680 bis in die Gegenwart, Fackelträger Verlag, 2010. ^ SuperUser (March 23, 2013). "Stadt Besigheim: Obama" (in (German)). Besigheim.de. http://www.besigheim.de/,Lde/start/Info+ueber+Besigheim/Obama.html. Retrieved April 18, 2013. Emmerich, Alexander. Geschichte der Deutschen in Amerika von 1680 bis in die Gegenwart. (2013). Emmerich, Alexander. John Jacob Astor and the First Great American Fortune. (2013). Keller, Christian B. "Flying Dutchmen and Drunken Irishmen: The Myths and Realities of Ethnic Civil War Soldiers," Journal of Military History, 73 (January 2009), 117–45. This page uses content from the English language Wikipedia. The original content was at German American. The list of authors can be seen in the page history. As with this Familypedia wiki, the content of Wikipedia is available under the Creative Commons License.